You can reduce your home’s heating and cooling costs through proper insulation and air sealing techniques. These techniques will also make your home more comfortable. Insulation is made from a variety of materials, and it usually comes in four types: rolls and batts, loose-fill, rigid foam, and open and closed cell foam-in-place. The proper insulation design is the most affordable component to energy efficiency in a property. For example the best friend of solar photovoltaics is insulation. Learn more about all the insulation materials in the marketplace at the Solutions Center. 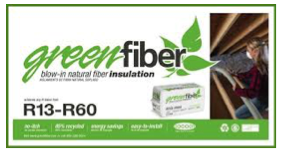 Fiberglass Insulation – While fiberglass insulation is in nearly every existing home in America. While prevalent in the marketplace the Energy House/BEA does not recommend the use of fiberglass in its energy upgrades if at all possible. There are many alternatives to fiberglass and where possible they should be included in a project.